Subject:Boat crew of HMS Chatham sights river and names Mt. Hood from here in 1792. 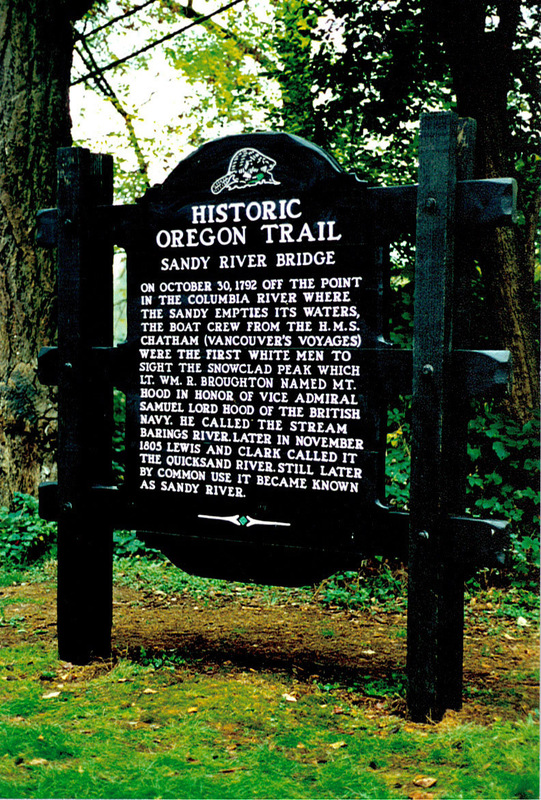 How Sandy River received its name. 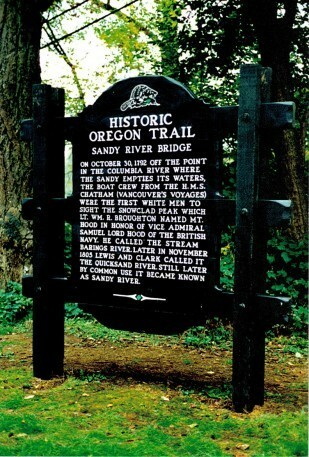 On Oct. 30th, 1792 off the point in the Columbia River where the Sandy empties its waters the boat crew from the H.M.S. Chatham (Vancouver’s Voyages) saw the snow clad peak which Lt. Wm. R. Broughton named Mt. Hood in honor of the Vice Admiral Samuel Lord Hood of the British Navy. He called the stream Barings River. Later in November 1805 Lewis and Clark called it the Quicksand river. Still later by common use it became known as Sandy River.